CHICAGO, Nov. 14 /CSRwire/ – The Health Product Declaration® Collaborative (HPDC) announced the formation of a new strategic partnership with the U.S. Green Building Council (USGBC). 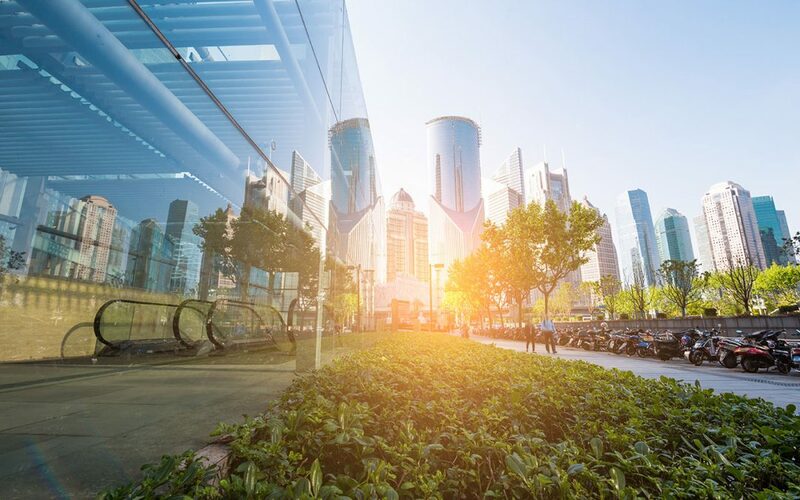 The announcement was made during the 2018 Greenbuild International Conference and Expo, the world’s largest conference and expo dedicated to green building. The two nonprofit organizations have been working together since the inception of the HPD Open Standard initiative in 2012 to advance transparency and material health practices in the building industry. USGBC and HPDC plan to expand their collective efforts to accelerate the global development and use of healthier materials in buildings and communities. USGBC’s LEED (Leadership in Energy and Environmental Design) is the most widely used green building rating system in the world. Available for virtually all building project types, from new construction to interior fit-outs and operation & maintenance, LEED provides a framework that project teams can apply to create healthy, highly efficient, and cost-saving green buildings. LEED certification is a globally recognized symbol of sustainability achievement. HPDC’s Health Product Declaration (HPD) Open Standard is an industry open-standard specification for the accurate, reliable and consistent reporting of product contents and associated health information, for products used in the built environment. Manufacturers follow the Standard to report their product information and can then publish their reports to make them publicly and freely accessible. Over 4,200 HPD reports are currently available in the HPD Public Repository, representing over 10,000 building products. Broadening the Common Framework for Practice through Open Standards – Community-developed standards, such as the HPD Open Standard and LEED, have been instrumental in catalyzing interest and participation in transparency reporting and material health practice. Working with ecosystem partners, USGBC and HPDC will continue efforts to increase the effectiveness of these standards as catalysts for change. Information Technology – Information technology (IT) is a crucial tool for integrating transparency and material health with the routine practices of design professionals and manufacturers. The strategic partnership will support a collaborative approach among ecosystem participants to build a cohesive, connected set of IT and platform offerings that enable both design professionals and manufacturers to easily and effectively use information resources to inform their decisions. Education and Credentialing – Design professionals are critical decision makers in selecting and specifying products, and need more options and access to education in material health practice. USGBC and HPDC will work with ecosystem partners to increase the depth and breadth of education offerings and extend their availability to serve the broad population of global design and manufacturing professionals. Communication and Support – USGBC and HPDC will work with ecosystem partners to create engaging forums for communication, problem solving and interaction among design and manufacturing practitioners. The end result desired is more rapid learning and growth of the community of practice, especially focused on outreach to global design professionals and manufacturers. USGBC and HPDC welcome new organizations to join the ecosystem of partners and collaborate to expand transparency and material health research, tools, standards, certification, education and practice. For more information, view the full set of FAQs. HPDC is a not-for-profit, member association with over 250 organizational members, representing the full spectrum of the building industry: architects, designers, building owners, manufacturers, consultants, tool developers, and others who all share a common purpose to improve the transparency of information and the material health of the built environment. The organization continuously improves the building industry’s performance through transparency, openness and innovation in the practices of reporting, disclosure, specification and selection of building products. For more information, visit hpd-collaborative.org.